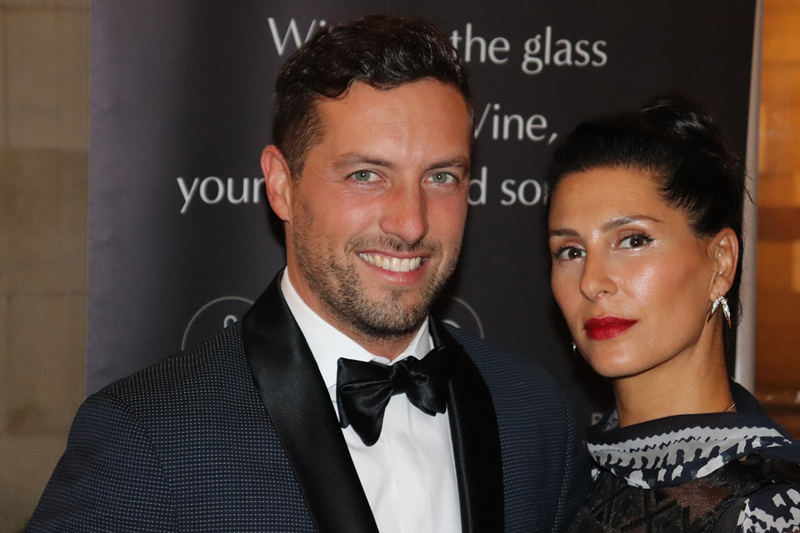 New York couple Akiva and Tamar Madmoni Reich recently graced Nobu Hotel London with their glamorous presence. They’re no strangers to gorgeous hospitality. It’s two years since they opened their own upscale hotel in Hudson Valley, upstate New York. When Akiva first viewed the colonial mansion, he envisaged it becoming a serene sanctuary less than two hours away from the city. His business partner Eitan Baron fully agreed. That vision is now reality. “With a property like Hasbrouck House which was built in 1757,” explains Akiva, “the two important components were to pay homage to the history of the buildings and simultaneously being aware we’re living in a time when people admire the past while needing modern living.” His own property development company, Akiva Reich + Co, was responsible for the sensitive restoration. He is also the powerhouse behind Gowanus Hospitality Group which covers stylish venues and prestigious event planning. The hotel has 20 individually designed bedrooms and suites across four buildings plus a “farm to table” restaurant called Butterfield, all surrounded by 50 acres of parkland. “I am actually currently developing my own music, writing and composing songs,” says Tamar. Mind and soul are clearly important to her. And body too: “The arts are in my blood.” A certified holistic health coach and wellness advocate, she has started hosting exclusive and intimate plant based workshops to encourage more organic conscious eating habits as well as holistic living and healing. Other wellness services at Hasbrouck House include private yoga and Swedish massages. Both husband and wife are committed philanthropists. Tamar grew up in Israel. She served as a Krav Maga instructor in the Israeli army. “As a dancer,” she explains, “I was already trained to pay attention to my body and react instinctively. I would train male soldiers in Krav Maga as well as at risk youths, because my body was already primed for that kind of mind-body discipline.” Tamar recommends visiting, other than Tel Aviv and Jerusalem of course, the Golan Heights and Makhtesh Ramon in the desert. “You want to go to Masada, catch the sunrise. It’s an ancient fortress overlooking the Dead Sea.” But first, there’s a vegan lunch in New York to be had. This entry was posted in Hotels, Luxury, People, Restaurants and tagged akiva reich, eitan baron, golan heights, gowanus hospitality group, hasbrouck house hotel hudson valley new york, jersualem, krav maga, lavender's blue, makhtesh ramon, nobu hotel shoreditch london, nutmilksinlalaland, stuart blakley, tamar madmoni reich, tel aviv. Bookmark the permalink. Interesting LVB article as always. Love the idea of vegan lunch .